Two Ducks. Flickr.com. Sam Cox. Photo published: 10/7/2017. Wildlands Restoration Volunteers is excited to announce an opening for a Grants Manager to join their fundraising team. The Grants Manager's most important responsibilities will include crafting fundraising strategy, developing proposals, and managing grants, including post-award reporting and invoicing. This position could work out of either our Boulder or Fort Collins offices. Please see the linked position description for details and application information. Boulder County Parks and Open Space is seeking an Oil and Gas Land Officer. Would you enjoy helping protect county open space land? Do you have a legal real estate background and a thorough knowledge of land, water, mineral rights (including oil and gas leases), easements, and rights-of-way? Do you enjoy working in a fast-paced collaborative team environment? Are you skilled at research, analysis, negotiating, collaborating with others, and problem-solving? If you answered yes to these questions, then you may be just the person we need. Deadline to apply is October 21st, 2018. Full job description can be found HERE. 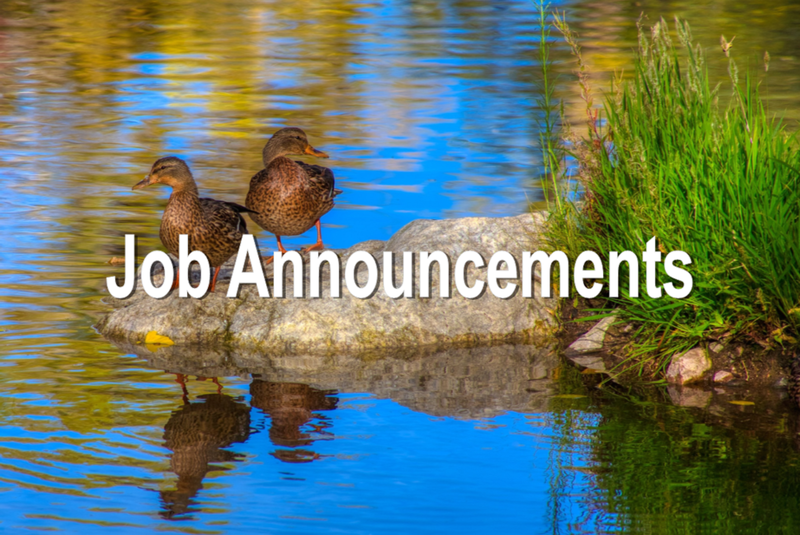 Western Slope Conservation Center is seeking a new Executive Director. This position provides a unique opportunity to make lasting positive change on a spectacular and diverse landscape in the Lower Gunnison Watershed. The Executive Director is responsible for advancing the mission, vision, and goals of the organization and providing key leadership, supervision, support, and coordination of administrative and programmatic development at all levels of the organization, including staff and contractors. Responsibilities include managing a 3-4 person team, overseeing organizational systems for comprehensive grant acquisition and management, volunteer program management, board development, communications, and marketing. Deadline to apply is October 26. For full job description and how to apply, click HERE. The Coalition for the Poudre River Watershed (CPRW) is hiring a coordinator to help lead & manage our forest health & watershed resiliency programs. If you are a smart, energetic forestry/wildfire professional that is passionate about keeping the Poudre River watershed resilient and want to share that passion with others, then CPRW has an opportunity for you. Deadline to apply is October 31st, 2018. Full job description with details on applying can be found HERE. Colorado State University is seeking an Extension Agent of Natural Resources. This position will provide leadership and guidance in the development, delivery and evaluation of Extension natural resources, wildlife, wildland fire, native plant, and invasive species programs for adults and youth in Jefferson County, and for the Native Plant Master program statewide. Deadline to apply is November 1st, 2018. For full job description, click HERE.